Outbound Caller ID is a feature that displays your phone number to the party you are calling. Administrators and Users can edit their own extension’s Outbound Caller ID settings via the AT&T Office@Hand Online Account. Outbound Caller ID is a feature that displays your phone number to the party you are calling. This option also allows a user to block the caller ID of their phone numbers during outbound calls. As a default, your Outbound Caller ID is not blocked. 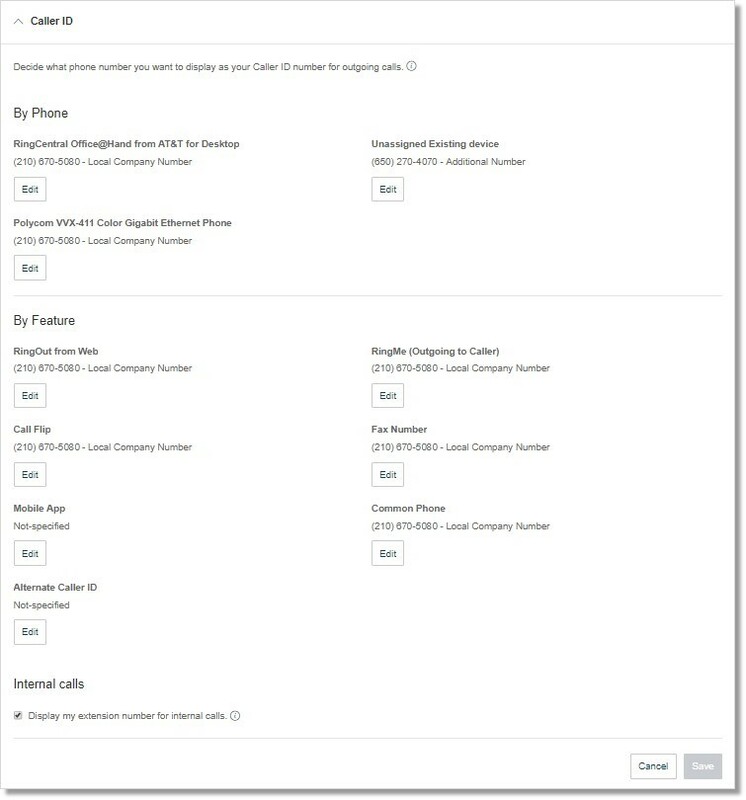 Both account administrators and users can set their own extension’s Outbound Caller ID settings using the Office@Hand online account. Note: Administrators should switch from teh Admin Portal to My Extension to see the Settings tab. 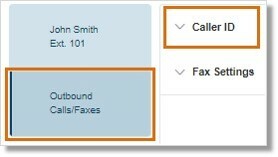 Click Outbound Calls / Faxes and select Caller ID. The Caller ID settings will be displayed. By Phone – Choose a number to display for your softphone, mobile phone, or desk phone. By Feature – Choose a number to display for RingOut from Web, RingMe, Call Flip, Fax Number, and Additional Softphone. Internal Calls – Click the checkbox to display your extension for internal calls. Note: Select this option if you want to display your extension as your Caller ID when making internal calls. All Office@Hand and IP phones will see the extension. Calls forwarded to external phones, like a mobile phone, will still show your complete direct phone number.